Vivien Mallock has established herself not only as an internationally renowned artist but also as a sculptor of extraordinary versatility. 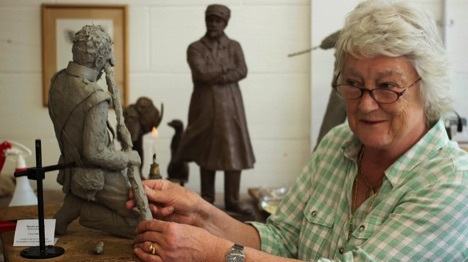 She became an Associate of the Royal Society of British Sculptors in 1998. 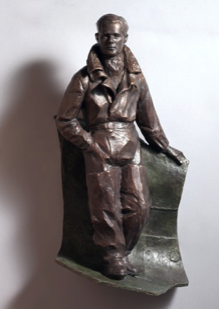 Her work, principally in bronze, covers a wide spectrum and it has captured the imagination of a wide variety of clients both at home and abroad. She is much in demand for portraiture commissions, where her ability to capture the personality behind the facial expression is remarkable. Vivien’s design proposal impressed the Selection Committee and all agreed that she was ideally suited to carry out the work associated with the Lord Trenchard Statue. We are delighted that she has agreed to work with us on this important project. These are just a few examples from an impressive portfolio of Vivien's work. 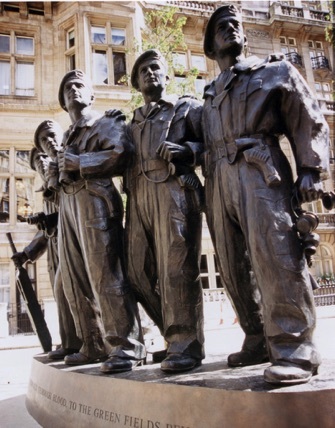 Vivien's largest work to date is the nine foot memorial to the Royal Tank Regiment which stands in Whitehall and depicts the crew of a World War 2 Comet tank. The statue was unveiled by Her Majesty Queen Elizabeth in June 2000. 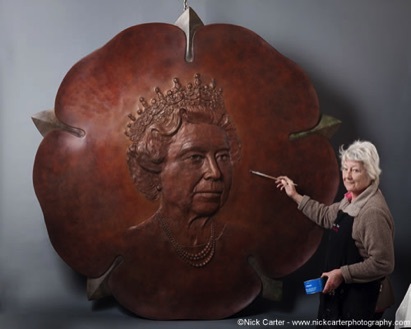 In 2013, her large bronze roundel bass relief portrait of Her Majesty The Queen was unveiled in the Great Hall in Winchester. The plans for the bronze required approval from Buckingham Palace and was unveiled by His Royal Highness The Earl of Wessex. 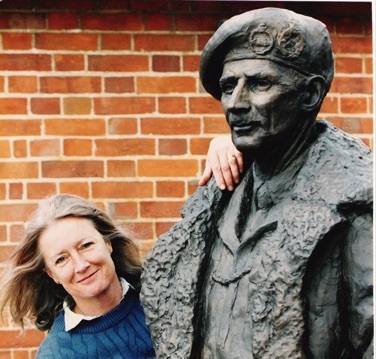 Vivien sculpted a seven foot high statue of Field Marshal Montgomery (Monty) which is installed on the seaward edge of the French town Colleville Montgomery. The statue sits in its own garden of remembrance just a stone’s throw from Sword Beach where the British 3rd Infantry Division landed on 6 June 1944. 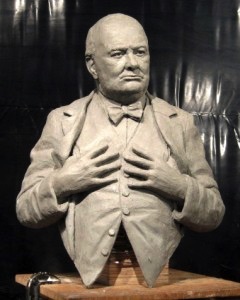 On 6 May 2015 a bust of Winston Churchill that Vivien completed was unveiled at the Pentagon which was a gift from the British Ministry of Defence to the permanent collection of the United States Department of Defence. The College already owns an example of her work in the miniature of Douglas Bader displayed in the Rotunda.